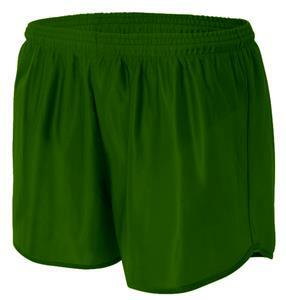 A4 Adult 3.5" Tricot Track Running Shorts - Closeout. The A4 5" Cooling Performance Shorts are a necessity for every athlete. These shorts are made with 100% polyester to keep you dry and prevent odors and stains. Top Selling Item. The A4 3.5" Cooling Performance Shorts are a necessity for every athlete. These shorts are made with 100% polyester to keep you dry and prevent odors and stains. WAIST 30" - 32" 32" - 34" 34" - 36" 36" - 38" 40" - 42" 42" - 44"
I have many of these A4 Adult 3.5" Tricot Track Running Shorts which I have purchased for my husband - I get them for the inner crotch liner which is almost impossible to find now. They serve his purposes well. The material is decent. I usually wear a women's small and ordered an adult small. It fit well enough. Great product even greater price!